The Discover models of late have not been doing well for the Indian manufacturer and here the company brings a very different unconventional, non-contemporary designed bike. The bike has some things to brag, the body; especially the fuel tank is built with the same steel used in the India's first aircraft carrier," The INS Vikrant". Now on paper this bike has everything in it to steal the limelight, but how it is in reality. Let us do it. Hope this review s useful. The company has been trying to get successful in the 125 to 150cc category for so long by bringing other variants than its trademark, "Pulsar" bikes but to no avail. The Pulsar as we know remains one of the best commuter sport bikes in India, from the 135 to 220cc category. Apart from that if you look into other bikes in the 125- 150cc than the Pulsar models, Bajaj has failed miserably. The discover models have never discovered any means to be the best sought after bikes in the segment. With the new Bajaj V15, the company has tried to ride its luck in the commuter 150 category. The bike has everything in it to come into the limelight and get noticed anywhere with its masculine look, and bullet like design cue, but how is it in performance and in actual riding. Is this bike the answer to Bajaj's questions? Is it robust enough to deal with the enigma it gets with its name? Should you go for it? I will be answering all these questions here; by which you may get the idea of the bike and its real feel along the road and the ride quality, mileage as well as the engine prowess. 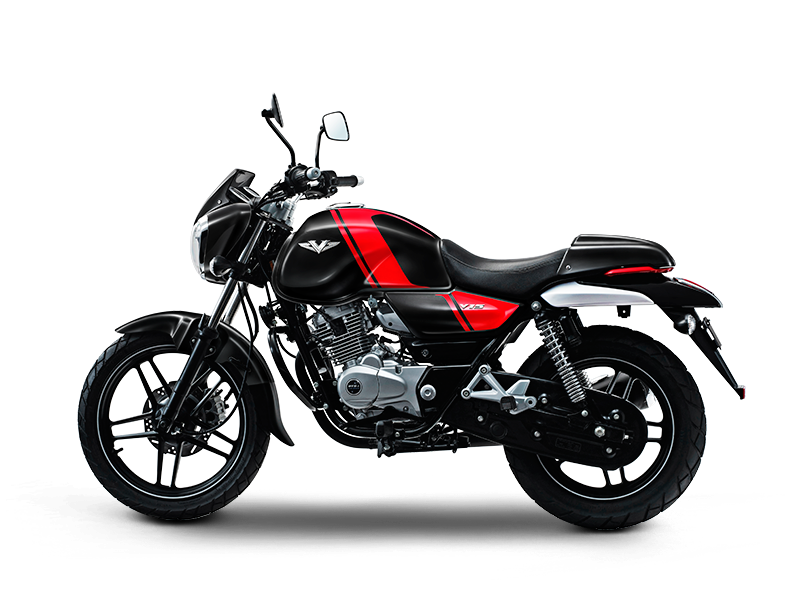 Bajaj V15 is truly unconventionally designed with almost no category for the design cue, if you wanted it to accommodate into one of the design categories. Everything here is eye-catchy someone may love it on the go; others will really hate it to never see the bike again. I would say this is a bit like the bullet, but still is really unique in its own way. It is perceived in the way you look at it, to some it may look appealing to some, really absurd, unorthodox and ugly to some to say the least. 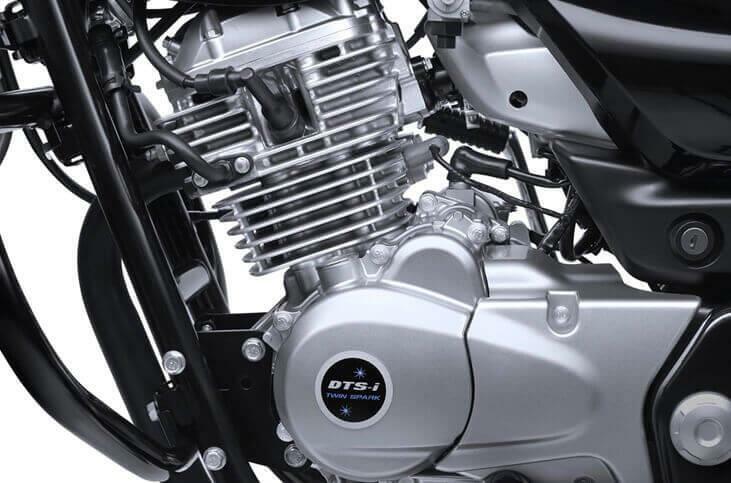 Now let us get into the every possible detail of the Bajaj V15. This is the most talked about part of the bike. You need to be a captain to captain this. I have been using the word "unconventional" for so long here because of the reason that it is really what the word describes it as. Bajaj claims to have created the fuel tank and other steel sections of the bike with the same steel used in the Legend "The INS Vikrant". That sounds like music to the ears, and rightly so, it is one of if not the best perfectly designed and furnished bike from Bajaj till date. The build quality and the finish you would find here is the best, it is a purposely and carefully crafted device with lot of attention to detail. I have not seen any bike from Bajaj so carefully crafted. Now let us speak about the design, it is truly unorthodox, and I have not seen anything like this from Bajaj or any other manufacturer. The attempt from Bajaj is really good and I like it. 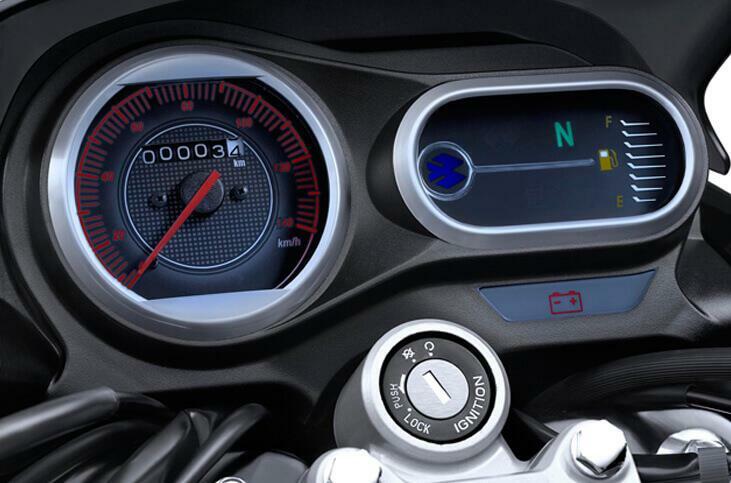 The instrument cluster is analogue which is devoid of a tachometer and there is no engine kill switch. The fuel indicator is digital, which changes into red from the original green when the tank is emptying. The bike has that premium feel and looks premium than any other bike in India in its category. Apart from the small and ugly headlamp everything looks good. Personally speaking I would say this is quite a very cute design and I love it. If you get such a premium look at an affordable price why won't go for it? Some may find the design not so appealing, I love it. I would give 4.8 stars out of 5 for the design and also the finish. The Bajaj V15 has an all-new 149.50cc single Cylinder engine generating a good maximum power of 11.80 bhp@7,500rpm and a maximum of 13NM of Torque of @5,500 rpm. The engine is quite good and smooth. The engine is the best when doing the job at 30-50 kmph. If you take the bike above that, it is going to produce some rash noises from the engine which will clearly tell you that the machine doesn't like doing it. So in the city traffic the "Vikrant" boy is really a fantastic performer, the bike is excellent in city traffic, cornering is superb, handle is light, and clutch too is light. The transmission is smooth and the ride quality is super. The front disc has good bite to hold the bike where you want it to. Now what I would like to suggest my buyers is that, this is not a highway guy, the engine noise really creeps in once you take it past the 60kmph limit. This bike is best for city traffic and if you are a daily city commuter and want to get it, go on, you are on the right track. I would rate the ride quality 4.3 out of 5 stars. Had the bike been a little good at higher rpms I would have given it 5 out of 5 stars. Bajaj claims a maximum mileage figure of 57kmpl, but in reality you can easily get around 48-50 in cities and 50-55 kmpl on highways. These are good figures and I really like the figures. The 150cc engine is designed by keeping the 30-50kmph riders in mind as claimed by Bajaj and if you abide by some basic riding rules, you can exert even more from this machine. So this is a good bike to commute around in the cities. 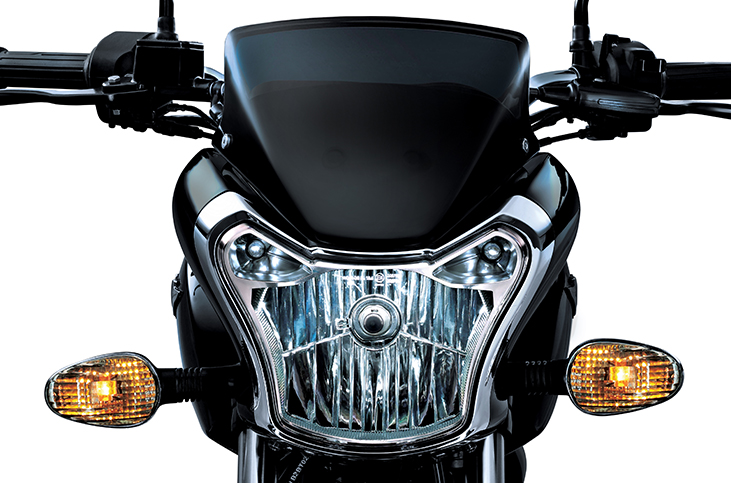 This is the best part; the Bajaj V15 is priced at around Rs 65ks Ex-showroom Mumbai. So at this price range you are getting a good premium "Royal Enfield" feel, you can really grab the bike as early as possible. The good mileage, excellent build quality, unique design and the fantastic ride quality makes this a real value for money. Unique never seen before design, excellent build quality, good mileage, smooth transmission, smooth and refined engine. Engine noises creep in above 60kmph, no tachometer, detachable pillion seat can be annoying. 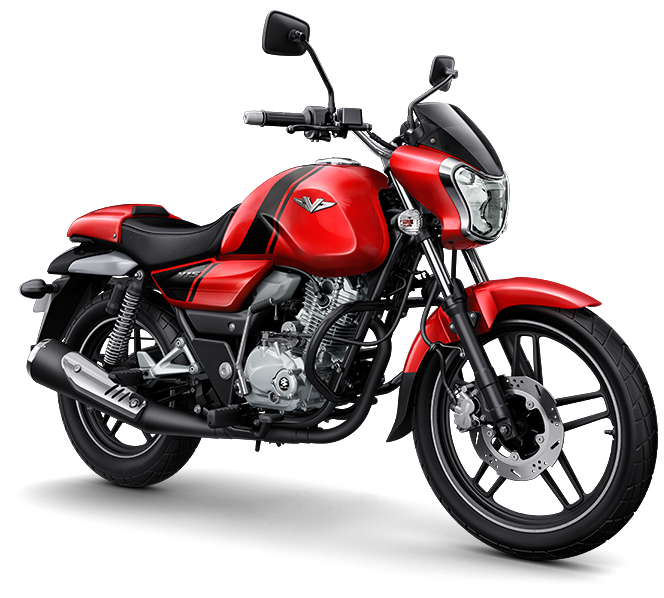 The Bajaj V15 is an excellent motorbike with a great value for money. If you buy this machine, you will be noticed pretty quickly, now whether it is positively or negatively depends on the viewer. Personally speaking I really love the design, if you like it or not it is your personal preference and I am no one to compel anyone. The ride quality is excellent, has a very fantastic finish to the overall build quality, and if you just exclude the engine vibrations above 60kmph, it is a great value for money. I love it and there is nothing more I can say, you may have understood. Hope this article is useful. Ride Safe. Enjoy. God bless. I bought the bike by end of Dec 2016 If I had read the above review I might have had looked into some other model or so. Nevertheless having bought I wanted to test long rides, During I st week of March I attended a wedding reception in Bengaluru I went on a highway ride and sped beyond 80 KMPH several stretches, there seems to be no unusual noise as mentioned above . Regarding mileage I am getting between 57-59 KMPL. Sound of engine is good. Digital Odometer would have been a plus point.